The Big Pro12 Interview: Can it keep pace with the Premiership and Top 14? RW: We spoke to Lions, Six Nations and Pro12 Chief Executive John Feehan a year ago and he intimated more ‘support’ would be given to the Pro12. Has that happened? Martin Anayi: Yes in a word. I was made Managing Director of the Pro12 in October. John (Feehan) identified that he couldn’t devote enough time to what is probably the most time-intensive property – there are 135 games! John and I work very closely together – we actually sit in the same office. There is more money being spent by the board to develop a property we believe has not yet reached its potential. Does the Pro12 have to self-generate its own revenue independently of the commercially successful Six Nations and Lions? MA: Yes, they’re all separate rugby properties. Our primary remit is to promote the Pro12 semi-finals and final. It’s identical to the job the Aviva Premiership have. Our other remit is to negotiate sponsorship and broadcast deals. 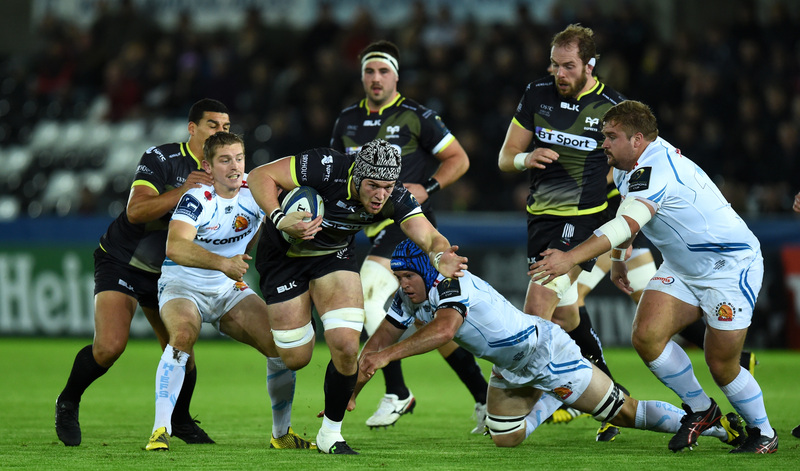 Gerald Davies: We felt the time had come for the Pro12 to be standalone entity. We’ve had our difficulties over the years but we’ve reached a settled period. We had a terrific season last year and it’s time we branched out. We have a team of seven here at the Pro12 and it’s growing. The Top 14 seems to be dominating in Europe and the Aviva Premiership is showing up well this year. Is that a concern? MA: All we can do is try our best to combat them. Teams like Ulster have grown exponentially. 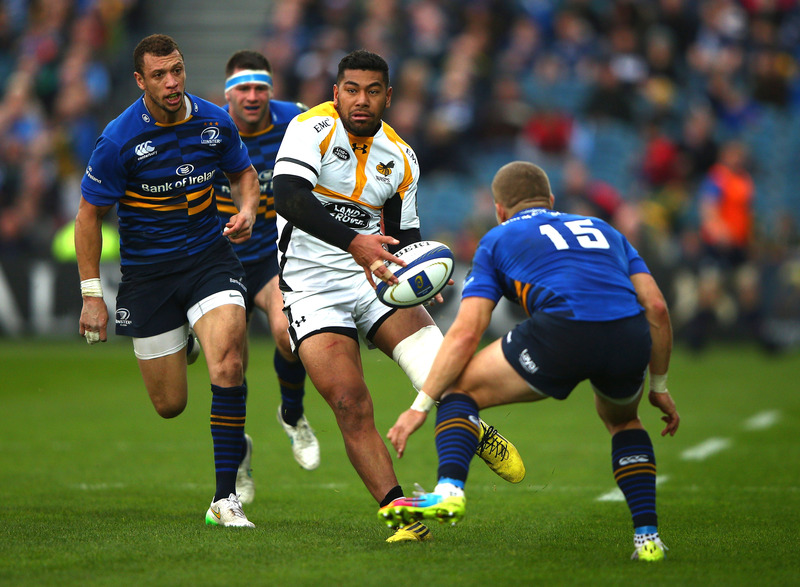 Leinster and Munster have had hugely successful periods. If you look at the history, the Pro12 has won six European Cups, which is the same as the Aviva Premiership and only two less than the Top 14 in the last 20 years, so we’re not doing too bad. Toulon have dominated in recent years and our challenge remains to give the sides the resources to compete in Europe. With lucrative broadcast deals and marquee signings coming regularly in the Top 14 and Aviva Premiership it doesn’t seem to be a level playing field in Europe. Is that fair? GD: Let’s look at where we’ve come from. The Pro12 hasn’t had an easy passage. It’s been very difficult, even on a basic level. French and English leagues retained the same clubs as they made the transition from amateur to professional rugby, whereas for us, it’s a totally new concept. We must be given time to settle down. The civil war between the WRU and the Regions went on for two years. It was a very unsettling, awkward time, which affected the television rights and sponsorship deals. It created so much uncertainty. Companies weren’t going to invest in something where no one was sure of the future. Now we have people on board to move forward. There’s a certainty about the competition and we feel optimistic. MA: My personal opinion is it’s far too soon to make those conclusions. It’s a natural dip. Remember, Irish teams dominated between 2006 and 2012, winning five tournaments. Going forward, our relationship with the unions is key. They have their own challenges but as you’ve seen with the World Cup, they’ve never been so buoyant. Over the next 12 or 24 months, they’ve said they’ll support us with an integrated commercial and marketing plan. The stability at the WRU has already made a difference. Scott Williams and Rhys Webb are all staying in Wales and Jonathan Davies is coming back home. In Ireland, Sean O’Brien has signed a deal to stay. We’ve not been as proactive as we could have been but that’s changing. MA: Even during difficult times we made some big strides. Sky Sports came on board. Guinness came on board. Glasgow became Scotland’s first winners with some exciting young Scots. This season we’ve seen Connacht as the story and that needs championing. Has the World Cup hindered your progress in the first half of the season? MA: It’s an interesting dilemma. We had 107 players at the World Cup, the greatest concentration of internationals players in any of the leagues. The Celtic Test players returned later because they were knocked out later than England. 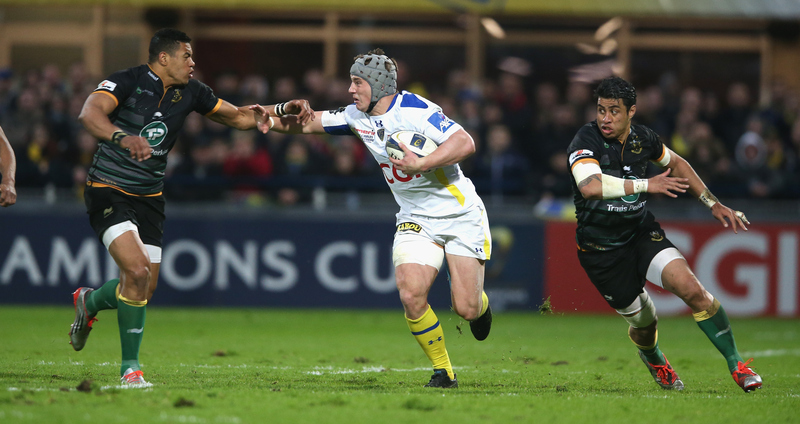 It affected the first round of the Champions Cup and had a knock-on effect. It’s too soon to see if it’s a longer-term problem. GD: That’s a good point. The Pro12 encompasses four different nations with lots of international players, over 150 I believe. That gives variety, taste, feel and flavour for the competition. When you look at the English and French leagues, what are they doing well? MA: The Premiership has simply professionalised rugby, while in the Top 14, for example, if you go to Clermont, you won’t find a better crowd atmosphere in rugby. They’ve created a tribalism. The Pro12 has anomalies; the support in Ulster is incredible. In fact for a long-time, Ireland was seen as the best model because they were doing so well in the European Cup, that’s why there was such agitation for change. What is the current state with Sky Sports after a four-year deal was signed in May 2013? MA: The deal is an interesting one. Our primary broadcaster is Sky but we also have some regional deals with BBC Alba in Scotland and Northern Ireland, BBC Wales and S4C, TG4 (Ireland) and RAI in Italy. It gives you a network of broadcasters. Whilst it’s not the same cash as the Aviva is getting from BT Sport, or the Top 14 with Canal+, our viewership figures are higher. Our job is to progress the sports in those countries while giving them the funds to make them competitive in Europe. What sort of viewing figures do you pull in? MA: A Pro12 round pulls in about 500,000 viewers. For the Pro12 final, it was 379,000 – if Sky get over 200,000 viewers, they are delighted. We have a strong relationship with Sky and they’re happy with what we’re giving them but in the future maybe we need more quality, less quantity. We’re showing 130 games live and while we don’t want to reduce value, we want to improve the production qualities and make sure every time you watch the game you know it’s Pro12 product. At the moment, you probably don’t. We want the media to cover the great stories. We need to shout about it more. We sit down with our broadcasters and we ask ‘how can we make this more appealing’. It is a good position to be in. Scotland seem to be having a renaissance at both at club and country level, how important is that to the health of the Pro12? MA: Scotland is a good focal point for us. It’s the best of the young talent Scottish academy system. They’ve seen what happens in Ireland, but alongside stars like Finn Russell and Stuart Hogg, they can also attract the likes of Taquele Naiyaravoro and Leone Nakarawa, one of best ball-handling forwards in the world. GD: The good thing about Glasgow’s win was that they were the best footballing side. The tendency is to say, if you’re a good looking side, you’re a loser but in fact Glasgow proved those two things can go together. That’s very important to emphasise. Edinburgh are going very well this year too. With Turkish Airlines following Heineken as a Champions Cup sponsors, are you looking at getting more than one title sponsor? MA: No. At the moment, broadcast money makes up 72 per cent of our revenue stream. Even though sponsorship only makes up 10 to 15 per cent of your revenue, that is what the brand sits alongside – for us the Guinness Pro12. The best thing about the Guinness deal is the right brand. It makes sense. Having a company like Diageo sponsoring us is a massive stamp of approval. It ties in with our heritage. What steps are taking to raise the Pro12’s profile? MA: We have the best production house in rugby with Sky Rugby and we need to tap into that in a more meaningful way. Elsewhere, we have to have better engagement on our social and digital channels. We have 69,000-odd likes on Facebook, which should be way higher. We can deliver a huge upturn in a connection with the fans, especially in Wales. 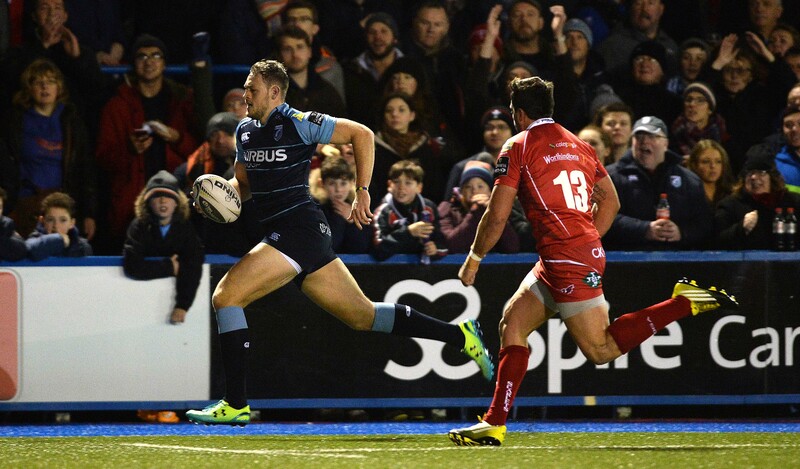 Before Christmas, I watched the Cardiff Blues versus Connacht game and The Arms Park had less than 10,000 crowd, which we should be higher. We have to take advantage of having one-team cities, Cardiff, Belfast, Dublin, Glasgow, Edinburgh, Ulster. They’re big conurbations to tap into. GD: Look at Exeter and Worcester in the Aviva Premiership, they’re not huge places but they punch above their weight in terms of crowds. The English clubs have brought tradition with them. We are trying to create a tradition with the provinces and regions. MA: Judgement Day happening at the Millennium, which we hope will beat last year’s record attendance of 52,000. The Aviva was sold out for Leinster v Munster at Christmas and the 1872 Cup set another record of over 23,642 at Murrayfield on a day when it outsold football in Edinburgh. In Italy the Italian derbies were up 14 per cent. These are the big eventers so we need to keep pushing. Do you envisage a future where the league will be fully meritocratic with regards to the top seven teams qualifying, rather than guaranteeing every country a place? MA: We need to take things one-step at a time. The single most important change to date was the qualification criteria change last year and it made a huge difference. We’ll go into February or March and the competition will be white-hot. That’s maybe more a question for the EPCR. GD: Stability is the watchword. People need to know what is happening. At this stage, we don’t want too much chopping and changing. 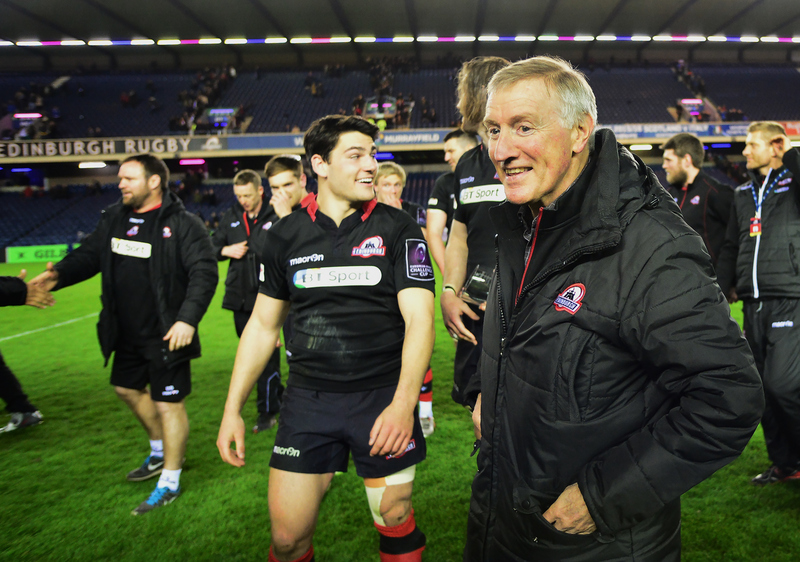 There has been talk of London Scottish and London Welsh angling to join the Pro12 at the expense of the Italian sides. Would you consider it, or even consider expanding the competition to a Pro14, much like Super Rugby? MA: If we’re talking about that in the future so be it but at the moment, we believe in those two teams. The FIR funds them. It’s only this year they’ve been able to sign players on three-year deals because they weren’t sure about the future. I’ve visited Italy where I felt real passion for the game. Zebre is Parma and Benetton is Treviso. They are real rugby clubs with genuine heritage. While they don’t win often, they’re competitive. The Benetton Family have put a lot of money into the club they don’t want to see it fail. Provincial rugby in Ireland has been an undoubted success, but in Wales, where it’s the national sport, growth has been slower. Is that the market with the richest potential? GD: There is huge ambition on all our parts to improve things but having come through the recent civil war, we need to consolidate what we’ve got. We need to improve the spectacle. MA: I played at London Welsh. I know what rugby means to the Welsh but in recent years, they’ve not had a professional team other than the Ospreys competing at the business end of the season. We need to try and tell the story a lot better and we can do that with BBC Wales and S4C. Over the next two years I can see the Welsh regional game taking huge steps forward. Players are being pushed more and more, how fundamental is player welfare to your modus operandi? MA: One of the first things I did in post was call for a meeting about HIA (head injury assessment), not sponsorship or broadcast deals. I was talking about what we were going to do as a competition to implement this injury assessment protocol. Player welfare is at the heart of what we’re doing. The Unions need healthy players, playing well and playing the right amount of game-time. GD: If you don’t look after your players, you haven’t got a game. I remember saying years ago you can’t treat the players as pieces of meat. They are people and we have to respect that. MA: It’s probably our point of difference for the future. We can’t go head-to-head with a 20 million Euro budget for players but we can go head-to-head on things like; are we treating the players right? Yes. Can we offer you the simple route to playing for your country? Yes. Can we offer you an environment where you can compete and succeed in Europe? Yes. If you sign a huge cheque, your allegiance is to the person paying you. We need to find a way to allow players to play rugby in the countries they want to.